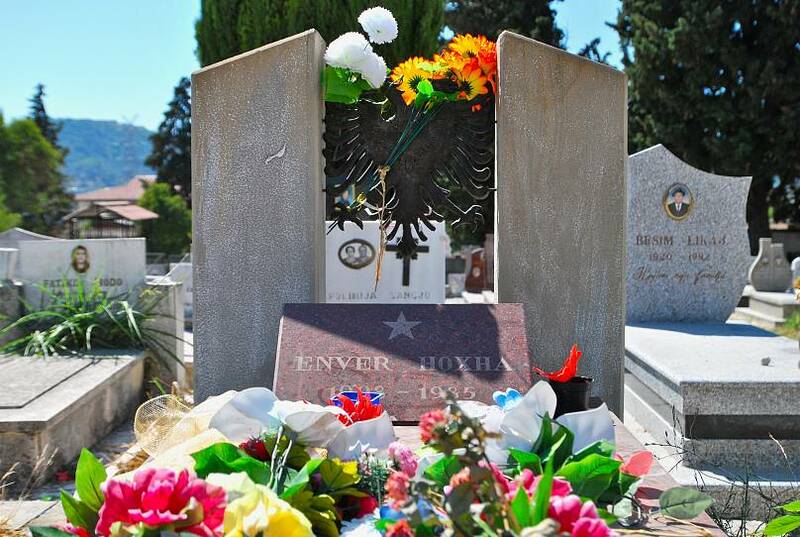 Enver Hoxha was a great admirer of comrade Stalin. When the Soviet dictator’s 30 years of rule came to an abrupt end with his death in 1953, his Albanian counterpart ordered a massive display of public mourning. Residents had to gather in the largest square in the capital city of Tirana to demonstrate their grief. The Albanian communist dictator also revered Stalin's methods of repression. With Stalin’s death relations between Tirana and Moscow cooled, as Hoxha enforced Stalinist tyranny on his people. ‘Enemies of the nation’ were sentenced to death, prisons or labour camps. Throughout his rule, one in a hundred Albanians are estimated to have been subjected to so-called "re-education" programmes. One early morning, people in uniforms came knocking on the heavy wooden doors of Adem's house, accusing him of “acting against the party." The year was 1972 and the fear of arrests and denunciation was a feature of everyday life. This morning it was Adem's turn be taken away by police. He did not know where he was going or when he would come back. He was going to his trial. Two witnesses who would testify against him were already waiting for him in court. Two were sufficient to act as ‘irrefutable’ proof for whatever accusations were levelled. “I could not defend myself. After the trial, they immediately took me to prison”, he recalls. Adem was found guilty of plotting to escape to Yugoslavia despite never having done so. However, up against the powerful state with little hope of being allowed to prove his innocence, he confessed to the "thought crimes" he was charged with and hoped for a milder sentence. What he got were 20 years of hard labour in Spac. 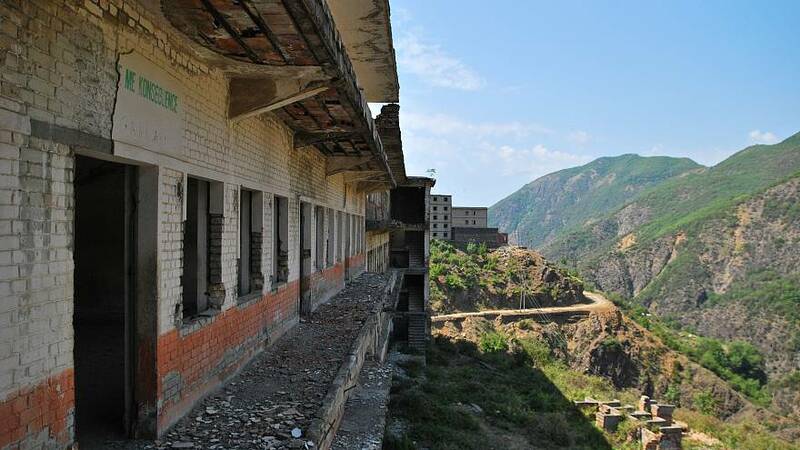 The Hoxha regime had some 50 internment camps of which Spac was the most notorious; modelled on Stalin’s gulags. Adem is one of the few former prisoners who is still alive to tell of the horrors of his incarceration. Hoxha particularly feared Yugoslavia, a country that was carving out its place on the map as a gateway between Moscow and the West and branded those attempting to escape there as conspirators. It was Adem’s family ties that made him a target for authorities. His father had been an officer under the rule of the Albanian monarchy and the Hoxha regime sought to stamp out those once associated with the aristocracy. While Adem's father escaped to save his life, his son was to suffer the consequences. Adem’s large family was also considered dangerous to the regime, thought to be a breeding ground for rebellion. Often family members would be resettled or imprisoned. The road to Spaç, a mountain village after which the camp was named, is narrow and winding. Albanian writer Ornela Vorpsi described it: "On the one hand, mountains were rising, on the other there was an opening [...] abyss, at the bottom of which orange water flowed, smelling of rotten eggs." 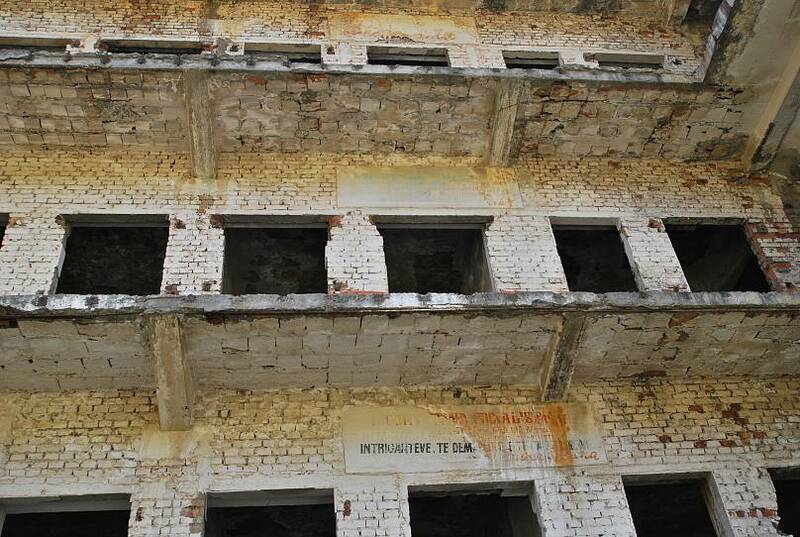 High up, on the slopes of the mountain, stood a building complex covered in communist slogans and quotes by Hoxha. Next to it were the entrances to the pyrite and copper mines where convicts were forced to back-breaking work that often led to physical exhaustion and death. Spaç was the most notorious of all the camps. It opened in 1968, and a year later already housed thousands of prisoners. Between 1,200 and 1,400 political prisoners would be incarcerated there at any one time. Prisoners worked in rotation, with groups sent into the mines every eight hours. Throughout hot summers and freezing winters prisoners extracted ores, having to hit daily quotas. Safety was poor and proper tools in short supply, leading to many injuries. Each basket leaving the mines was meticulously accounted for. “If it we didn’t hit out quotas we were punished. If we did, they were increased the next day. But for each day that we managed to exceed our quota our prison term was reduced by one day. We gained a day of freedom,” says Adem. He was supposed to spend exactly 7305 days in Spac. After work, the prisoners returned to their unheated and crowded sleeping quarters. “Many of us lived in such small cells, there was no place to sleep. Neither to lie down nor move,” he recalls. The Party hated traitors, but it rewarded those who denounced alleged traitors. An Albanian saying went "there are 11 spies for every 10 people." Denunciations forced people into constant vigilance – even in prisons. “When one of the prisoners heard that the other complained about the party, he immediately informed the guards. Each such denunciation was a chance to reduce the sentence. So you had to be careful not to worsen your situation,” says Adem. The guards meted out brutal punishments. They beat and tortured those who were caught expressing political dissent or were deemed not productive enough. Women were not spared either. They too were beaten, raped, and forced into abortions if they became pregnant. On May 21, 1973, prisoners staged a rebellion and seized the camp, flying an Albanian flag over Spac, but one without a communist star. A brutal crackdown saw the rebellion suppressed in two days and its alleged leaders executed. 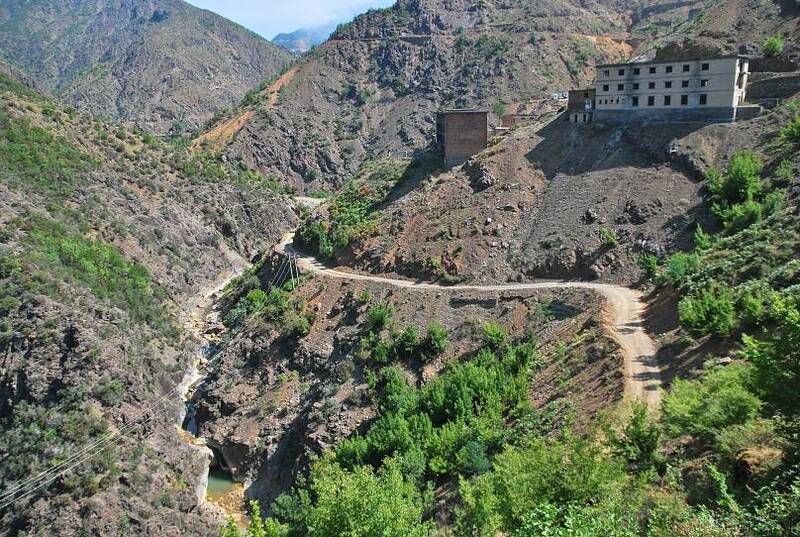 Under Hoxha, Albania was one of the most isolated countries in the world. Increasingly paranoid about a threat from within, he intensified his tyranny, fencing the country off with barbed wire, banning foreign trips, and contacts to anyone abroad. A staggering 750,000 bunkers were built at his order to allow the entire country to move underground in the event of an attack. At the time of Hoxha’s death in 1985, the start of the fall of communism in Europe was just another four years away. 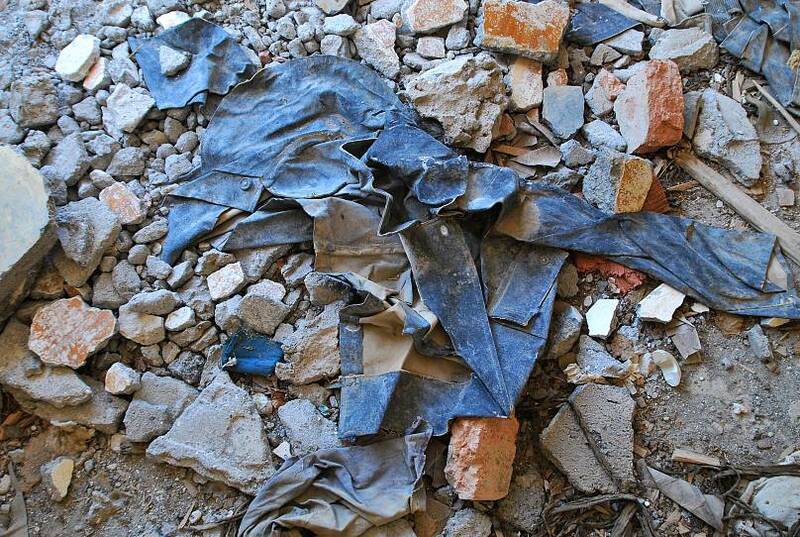 As the Berlin wall crumbled in 1989, Albanians began to believe that change was possible. Workers’ strikes piled pressure on the regime to permit political parties aside from the ruling Labor Party. On March 31, 1991, Albania saw its first multi-party election since 1923. It took another three months before an amnesty was issued for political prisoners that also secured Adem’s released from Spac. However, many of those released during the amnesty had little to return to, finding their homes and land confiscated. Although the former inmates secured a legal right to compensation for each day of their incarceration, most have only seen a portion of this sum, and some none at all. "They had to beat us"
Today, the former camp is a decaying ruin, overgrown with weeds. 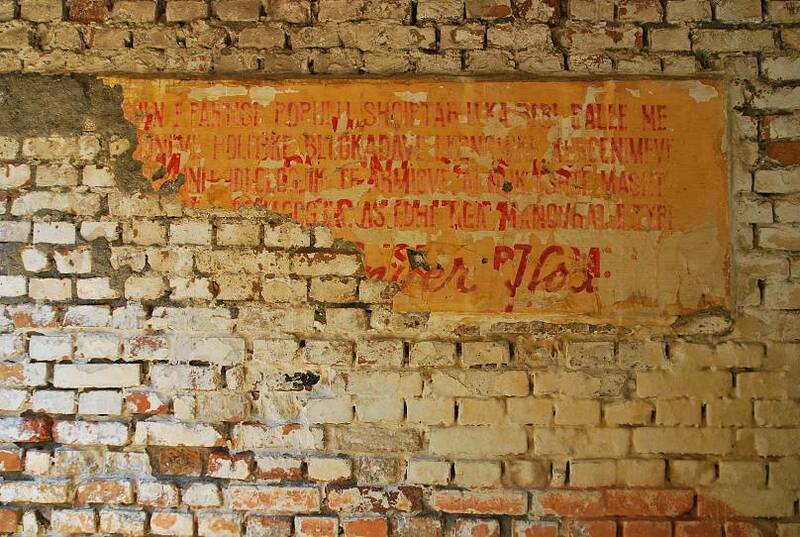 Only isolated letters remain of Hoxha’s quotes emblazoned on its walls. The gulag has fallen into oblivion, and many Albanians do not want to look back on these times. After returning home, he met witnesses who testified against him. "Sorry, you can do what you want, but we were forced to testify against you. We could not do anything," they would tell him. Adem did nothing.